Next to Christmas, fall decor around my home is my favorite! 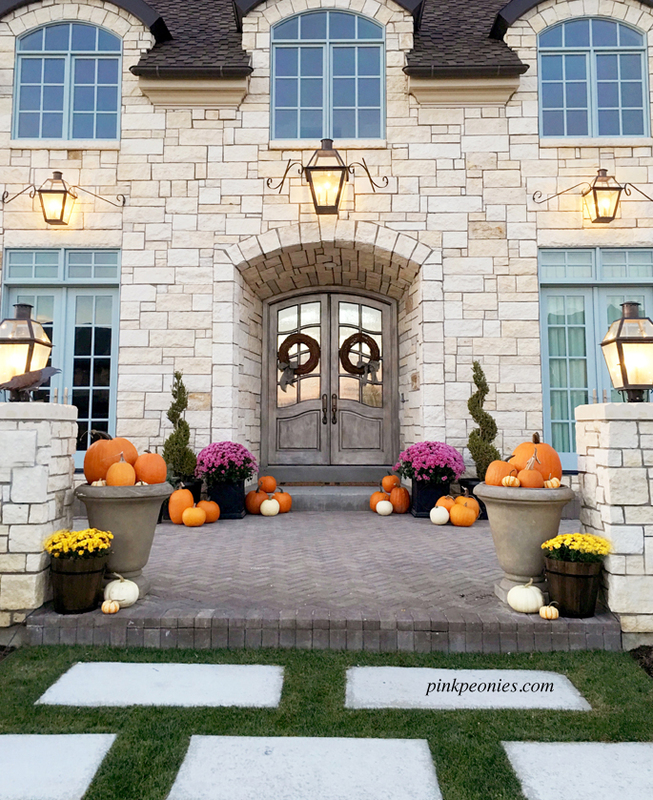 Here’s how I spiced up my home for the season. Below are some more front porch scapes that inspired my front porch if you’re needing some ideas! Your house is absolutely stunning! Wow what an amazing job you did decorating your house for fall. AMAZING! Looks like a gorgeous, Parisian-style fall wonderland! Love this. So cute! love the ideas! Rach— so happy you shared more the exterior of your home in the front… it looks awesome! You have a beautiful home, and you truly have great taste and an eye for home design and decor… would you share some of your best tips, maybe like a room by room regular feature with seasonal rotation? Haha… or, do you think your biggest help is using an interior design company, like Alice Lane Home, as you have? Anyway! you sure have a gorgeous home! Have a wonderful day Rach! Tons of inspo in this outfit! Thank you for sharing! I am in looooveee with your decor. LOVE your decoration! 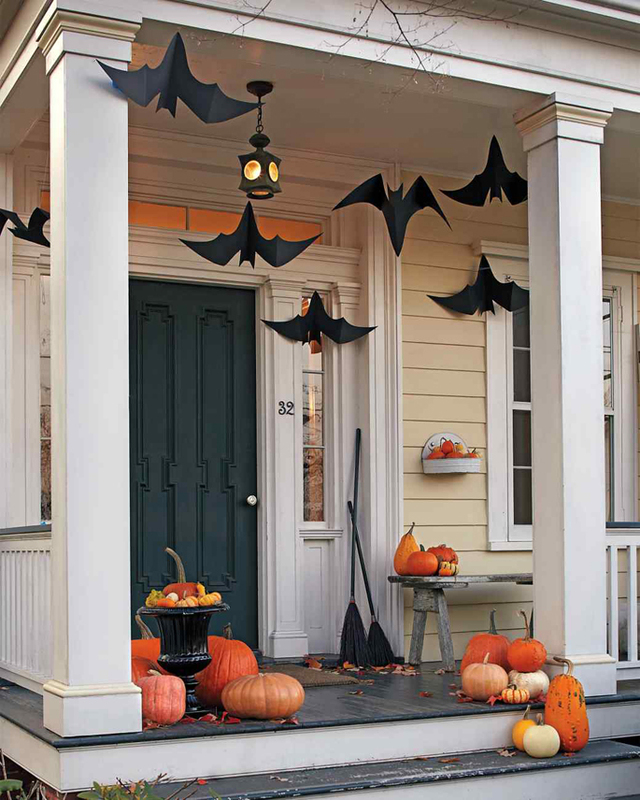 Halloween is the most fun to decorate for, well, second after Christmas ;) Your porch is gorgeous! I love how you styled your home! What a great entry way! Your house is absolutely amazing! I love how you decorated your porch! have you considered doing a home tour? Your house is just stunning, would love to see more of your decorating style and beautiful rooms. I like yours better! it is simple and great! I don’t like to over decor my house! Your front porch is absolutely GORGEOUS! So gorgeous. Your home is absolutely stunning! Amazing, this is so beautiful, I like it very much! OMG I love how festive your house is! All the pumpkins are so cute! Perfection! I love the mixture of pumpkins inside as well as outside! Gorgeous front porch! Thanks for the inspiration! WOW (in the best sense of the word)……just wow! Your house is soo amazing!! It is stunning, and that kitchen is my dream kitchen. I love decorating for the holidays as well! Amazing ideas! Thanks for sharing! I have just arranged the pumpkins on my steps! First of all your house is a DREAM! 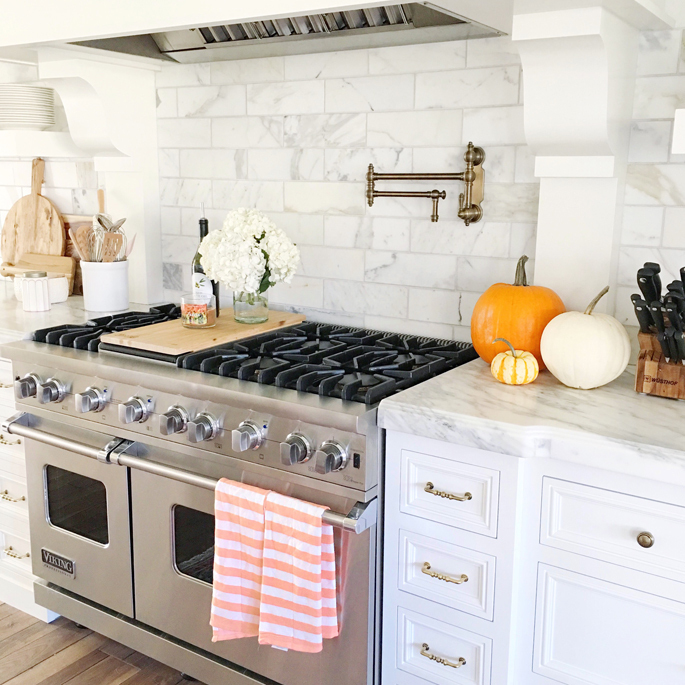 Your home is so gorgeous, Rach, and I love the fall decor! Always a source of inspiration, thanks for sharing! Have an amazing day, beauty! You’re home is gorgeous and I love your decor! Fall is my favorite season and I love decorating for it. So glad I found your blog! Great inspiration and great execution!! Swooning and can’t wait to see the christmas decor! Beautiful! I’m seriously in love with your house! Rachel, the front of your home is stunning! I love grouping pumpkins together. I did that on my front porch too!! That’s your home?! It’s absolutely gorgeous! Please do more posts featuring your house! I can’t wait for the Christmas decor!! So fun! 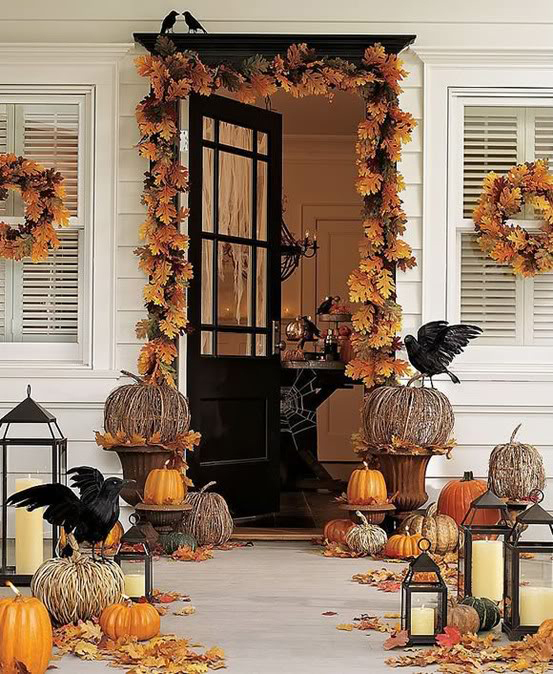 There is just something about fall decor that I LOVE, along with a good pumpkin patch wearing my wellies. Wow! So beautiful!! 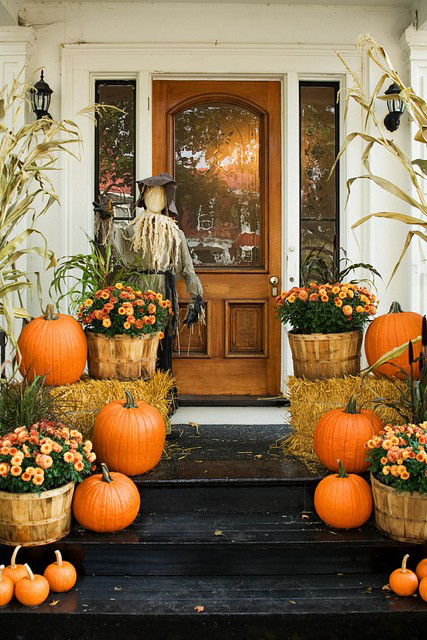 I absolutely LOVE Fall and the way you’ve decorated your porch is just stunning!! Your home is adorable! I can’t wait until I am out of my apartment so I can decorate like this! Your home is absolutely beautiful!! I can’t wait to see what you do for the holidays! love all this decoration inspiration! I actually like yours better than the pinterest images! Great job Rach! Amazing decorations! Halloween is my favorite holiday. What is the wood stain on your front doors? Love that color. Is there a way to see more of your posts about your home? It is absolutely beautiful! I can’t wait to see what you do with the upcoming holidays! 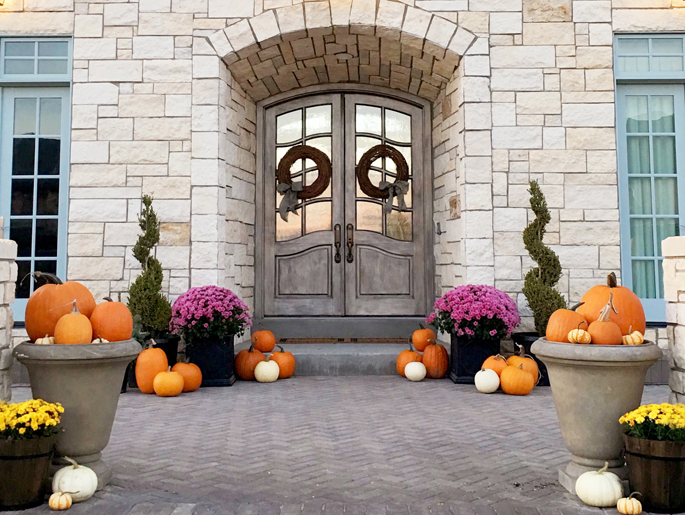 The front entrance to your home is SO BEAUTIFUL! I love the clothing aspect of your blog I wish you would share more home details. You have the best taste! I absolutely LOVE your home! So gorgeous! The link for the candle no longer works. Can you tell me what scent it was? Thank you! Love your blog! What is the name of stone that you used? Also, who is your architect/ architectural firm you work with? Did you change architects for your new-build, or are you using the same person? Recommendations please! !